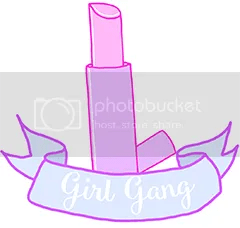 I’m afraid to say that DIY Wednesday this week was a bit of a disaster, so I’ll be posting a make-up one at a later date! I’ve also been really busy with an upcoming project, so today’s food post is a little on the lazy side.. 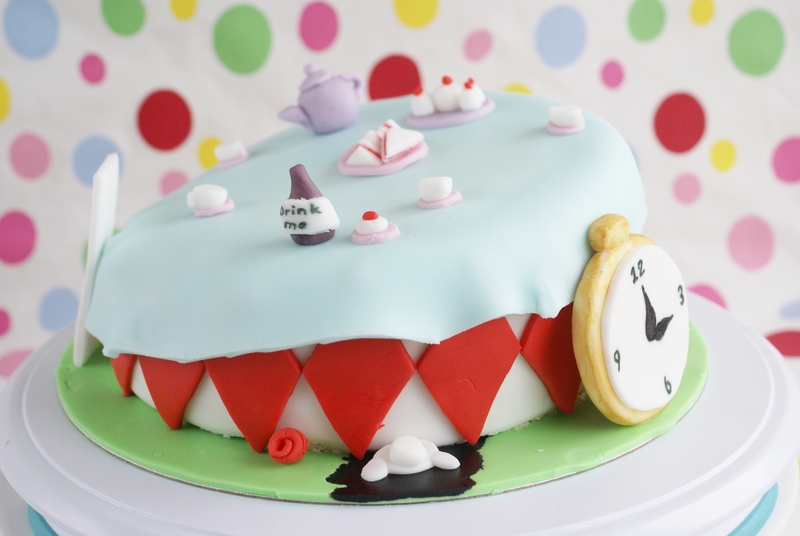 When I think of Alice in Wonderland, the first thing that really springs to mind is the Mad Hatter’s tea party, and the whimsy that goes along with it. 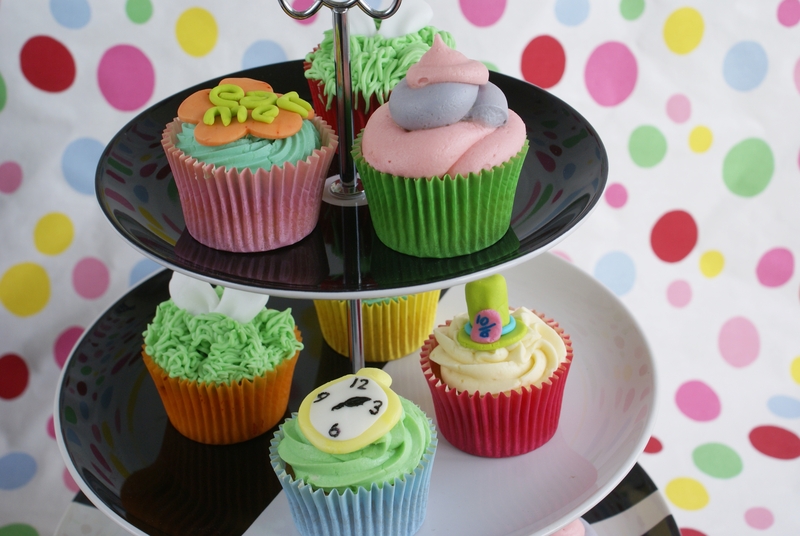 Now personally, a tea party isn’t proper without cake, so here are my top tips for wonderfully wacky tea party cupcakes, featuring some cupcakes and a cake I made a little while back! Bright blue, pinks, oranges and greens aren’t your everyday colours, but I bet they’ll be everyone’s favourites! 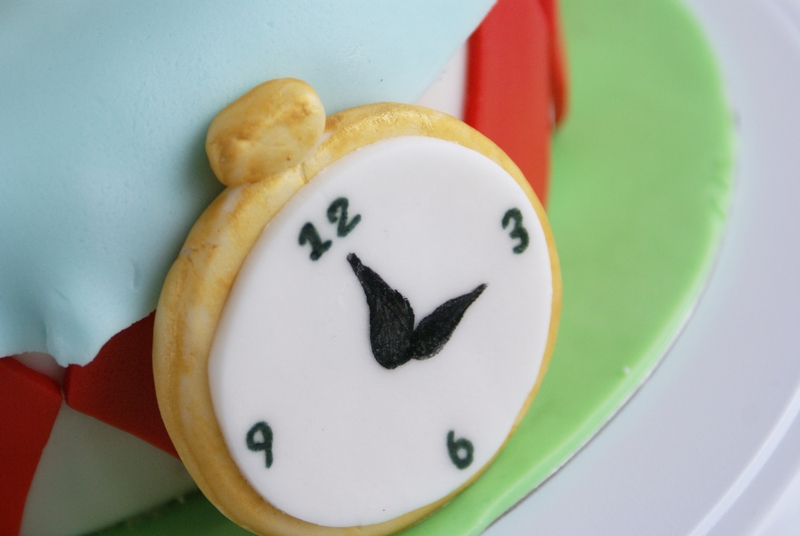 Don’t worry about precision even cakes, topsy turvy is the new black! 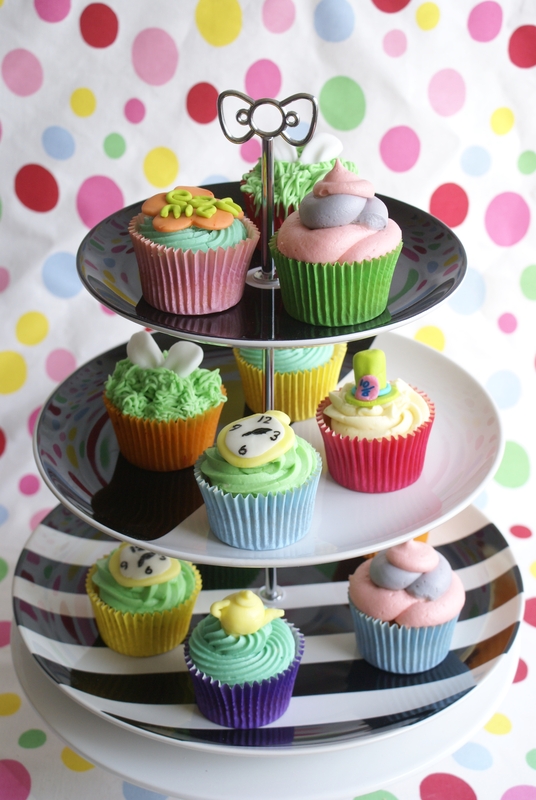 Mix up flavours and colours eg. pink is lemon, green is strawberry etc. It’ll take a bit more time, but its worth it! Even the simplest cakes look incredible on the right stand. 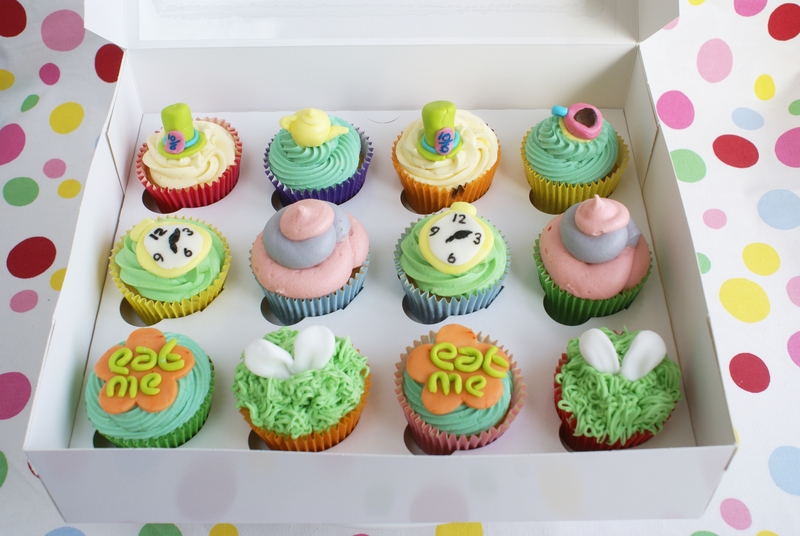 This entry was posted in cake, Disney, Disney Food and Drink, Food and tagged alice in wonderland, cakes, cupcakes, disney, food, tea party. Bookmark the permalink.